My Summer Wardrobe in a 4X at Kmart! A couple of years ago I bought a summer dress at Kmart that I am still wearing and loving. 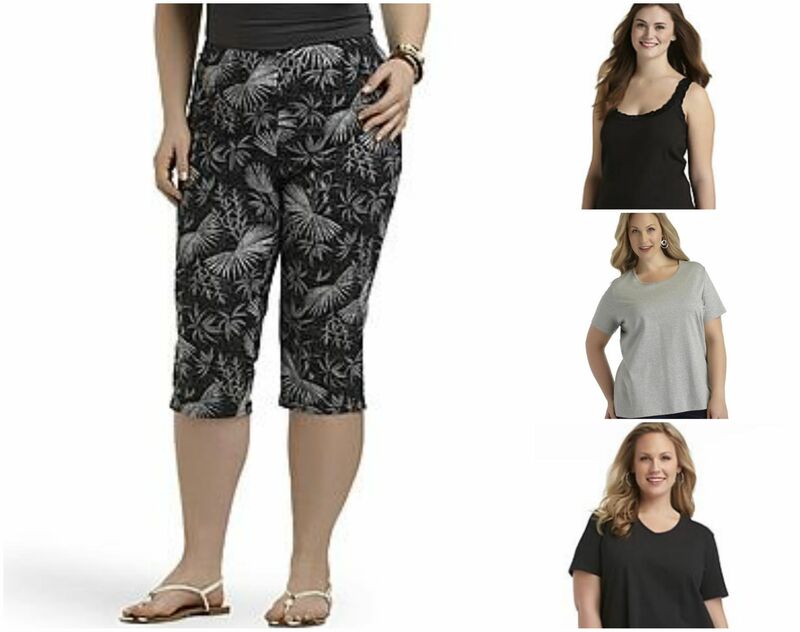 I thought it might be interesting to see what kind of summer wardrobe I could put together if I were shopping at Kmart this summer, still wearing a Size 4X. Here is some of what I found. The first outfit I found was a great pair of tropical print capris and three shirts that could be worn with them. There were of course a variety of others. 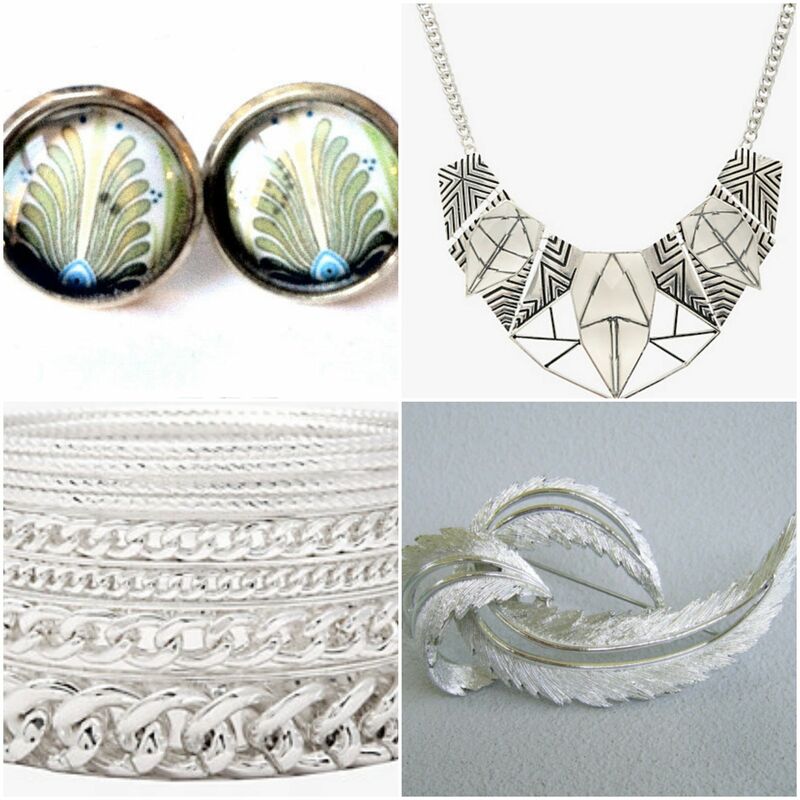 And just to make the outfit a little more fun here is some inexpensive jewelry to dress it up. I would not think of going out in public without a bangle bracelet and earrings these days. Then I found some basic navy capris, with several choices of tops that had some navy in them. And then for the pièce de résistance, they had JAMMIES. 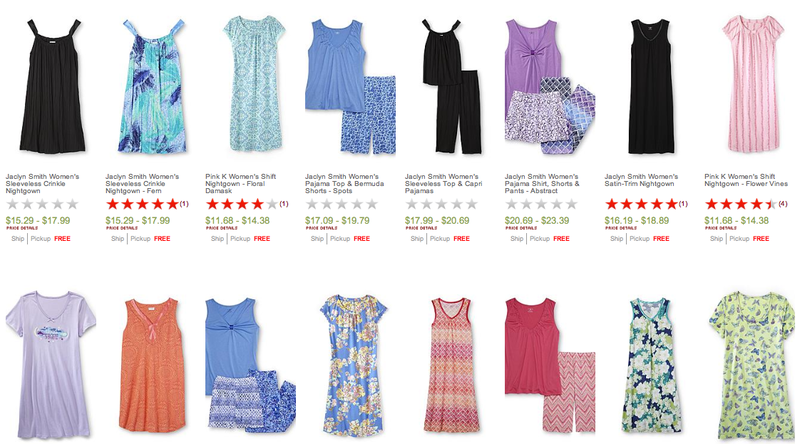 Jammies with shorts, jammies with capris and even nightgowns. But whatever color you could want. I was quite pleased at how inexpensively I could put together and fun and versatile summer wardrobe. If I needed a more conservative wardrobe, they had long pants and button down shirts that would be sufficient for most casual day work. Kmart Festival Dress – OMG – It Fits! This week there was a going away party at the Burning Man Headquarters because one of my favorite people ever and the Communications Manager and Regional Network Manager, Andie Grace is moving on. She was my boss when I was the Wedding Coordinator for Burning Man for several years and I will miss her terribly. Although it was 68 degrees in San Francisco that day I knew it would be warm at the party so I wore my new sundress. Just for your amusement I have added a photo of the project that the bra was spray painted for, I made a life size paper mache of Tara: the Tibetian Goddess of Compassion. I don’t paper mache anymore but I thought this might make you smile.